After a great dinner with HJ(www.hjwa.co.za) and getting valuable advise I feel that I have all the planning I need. There are however still one or two items outstanding. I am toying with the idea of not entering Egypt with the bike and rather opting to ship the bike to Sudan from Italy. I prefer grabbing the backpack and using the train from Khartoum to Cairo. I will visit Tunisia while the bike is on the ship… No clarity yet though as I am still waiting to see what happens with the visa situation in Libya. The Libyan Dept of immigration has stopped all tourist visa’s, there might be a light at the end of the tunnel as they have employed a new minister a month ago. So now I just sit and wait for clarity and try to come up with a Plan A,B,C. Other than that small hick up everything else is cruising. 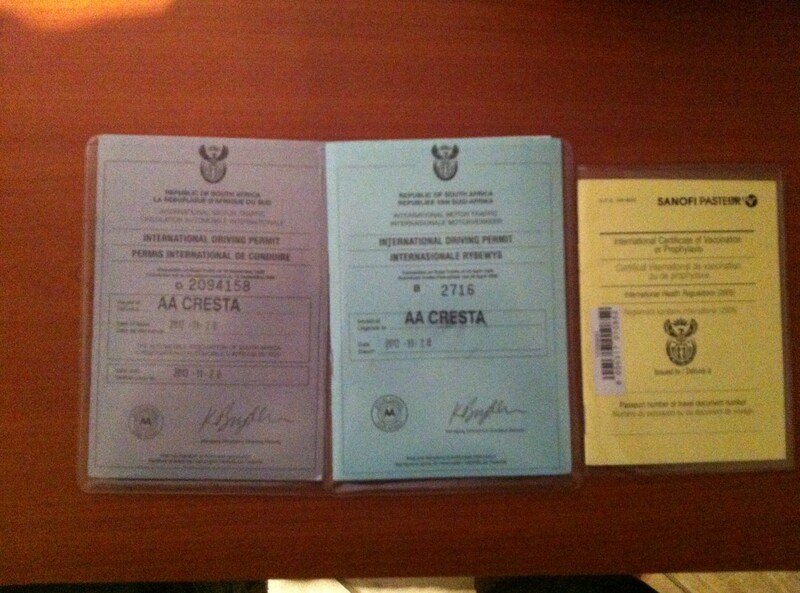 I managed to get my new drivers licence and international licenses today. The visit to the travel clinic is also done and I am in possession of my yellow book. I will be starting my Visa Mission in the first week of December. 1st Port of Call: Angola. Op een of ander manier sal dinge uitwerk…! Sal oor ‘n lang bier dit uitsorteer ou maat!